This is a Southworth Paper Company 25% cotton paper. 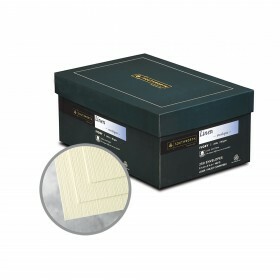 This stunning and crafted 65 lb cover paper is on the lighter side of cover paper weights. The paper has a classic linen finish to it's surface and is perfect for documents that seek both economy and elegance to impress the reader and the buyer equally. 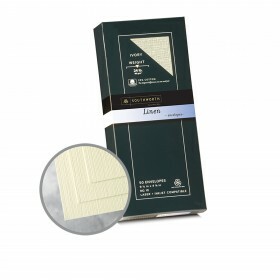 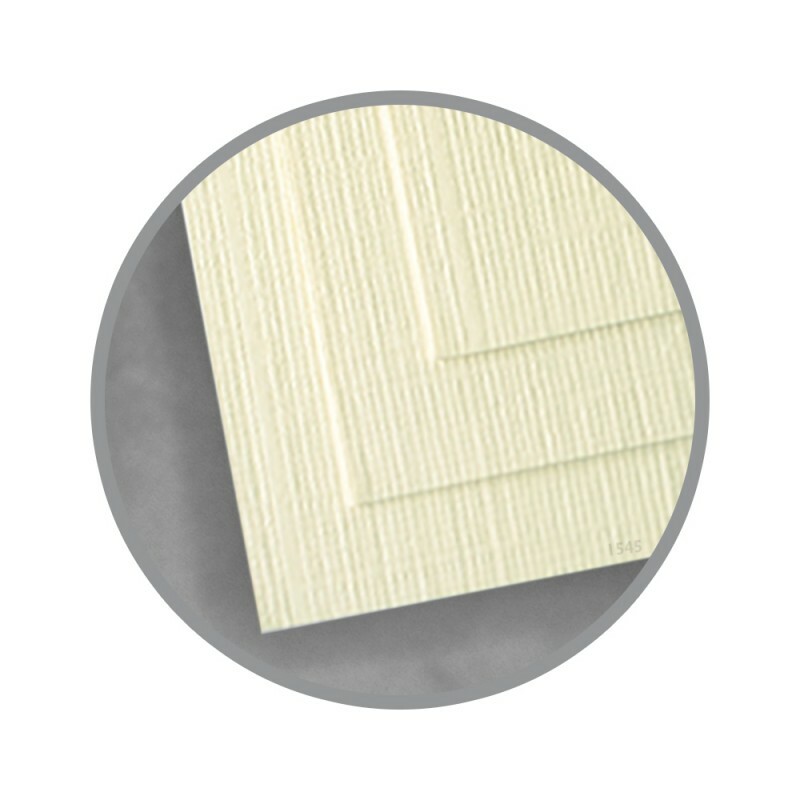 The perfect use of this fine paper is for business cards, invitations, announcements and report covers. 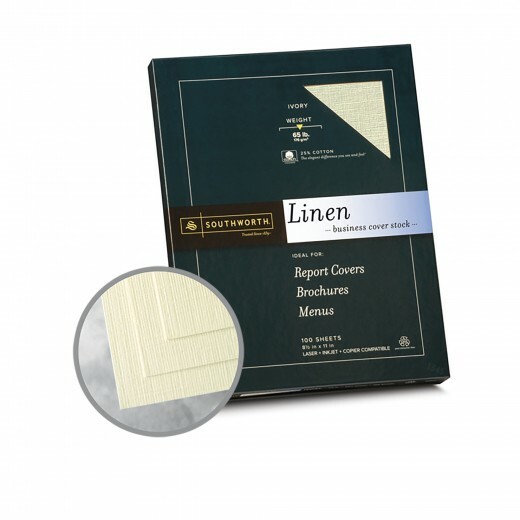 You will enjoy the quality feel of the 25% cotton fibers along with it's 30% recycled fibers. 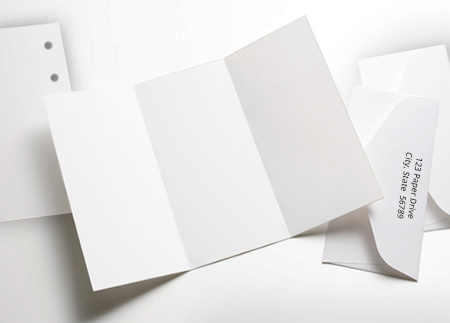 You'll achieve excellent printing results on laser, inkjet and copiers.